NOTE: For quantities < 10 yds, prices are lower via MyFabricDesigns. For quantities > 10 yds, however, DigiTex is by far the most cost effective. This listing is for 20 yd orders of designs that are not available for public purchase. (There are separate listings for 10 yd and 15 yd orders.) Orders are placed through MyDigiTex.com and ship directly to the buyer. The larger the order, the lower the price. 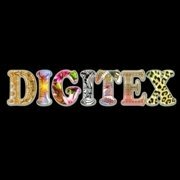 DigiTex offers, literally, hundreds of fabrics. If you don't see a fabric that you want, contact Implexity Designs, and it will be added. You are encouraged to order swatch booklet from DigiTex for reference.